She’s not running for president, but Hillary Clinton offered some ideas on how to effectively carry out a reasonable immigration strategy during a forum over the weekend. Speaking at the Women in the World Summit, Clinton said the solution to the immigration issue could be found between the two sides that are presently arguing against one another — where one side was ignoring the issue existed at all, she said, and the other side was trying to politicize the issue in order to rile up anti-immigration sentiment. Clinton tweeted out a video segment of her words on immigration on Tuesday. In the video, she specifically singled out President Donald Trump, who she lost to in the presidential election of 2016, as “beating…a political drum to try to rally his supporters” on the issues of immigration and asylum. Instead of using the issue for political gain at the expense of real people’s livelihoods, Clinton explained, the administration should be trying to find common sense ways to resolve the problem at hand. She offered what she considered to be a better solution than what Trump was proposing. 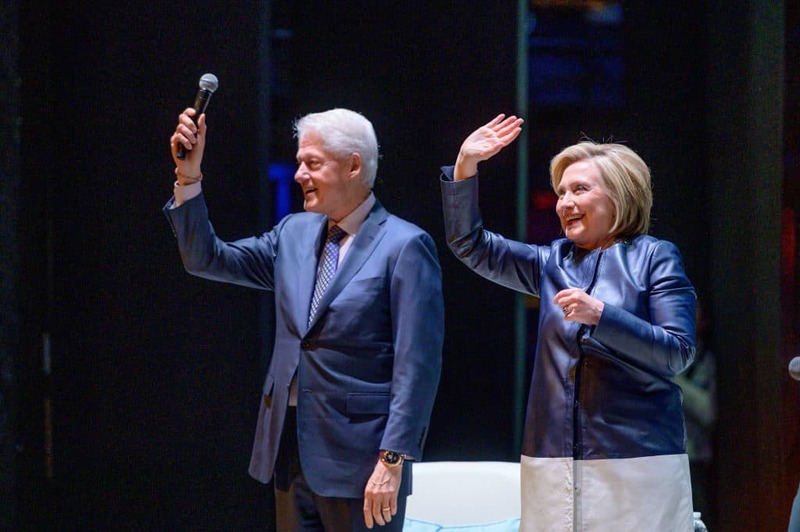 “If you really wanted to solve this problem, you would double, you would quadruple the number of immigration judges, you would hire more people, you would send them to the border, you would begin to organize a system so that people could be quickly processed in a legal and humane way,” Clinton explained. During her remarks over the weekend, Clinton also chastised the Trump administration for how they handled the asylum process in the past, including separating children from their parents once they were detained, a policy that was ended last summer after public outcry. “One of the worst things this administration has done is to separate those children and have no system that actually would tell you where they are,” she said. Thousands of children of immigrants remain missing, and the Trump administration said that it could take up to two years to find and reunite kids with their families, the New York Times reported.